Other names: Bahag, baligang, igot. Lipote is a fruit from Philippines. 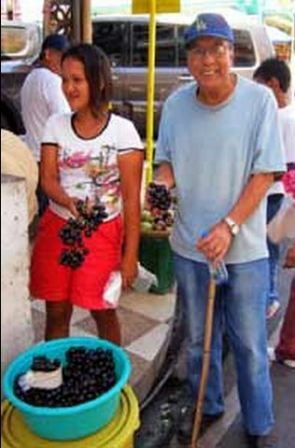 This fruit, though eaten as well as also made into a wine by local people, is rarely cultivated. It is also not known much outside Philippines. 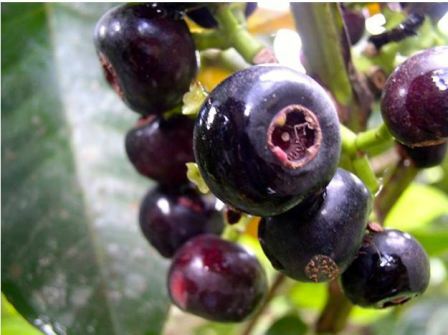 Lipote is found in primary forests in Philippines and at medium altitudes. It is also not a very commonly found plant. An evergreen tree upto15 m tall, trunk diameter 30 cm, branches distinctly 4 angled. Leaves oblong, 20-25 cm long, 6-8 cm wide. Flowers borne in clusters on trunk and branches. Fruit an ellipsoid berry, 1-2.5 cm in diameter, dark red to black, somewhat dry, crisp but having a pleasant sweet and sour taste. The fruit, though somewhat dry, tastes quite pleasant. It is eaten fresh by the local people. Besides eating fresh, it is also preserved as pickle and jam. It is also used for making wine and a beverage is also made from it. Ripe fruits of lipote have 83 percent edible portion which contains (per 100 g) 83.4 g water, 77 kcal energy, 0.7 g protein, 2.5 g fat, 12.9 g carbohydrates, 1.7 g crude fiber, 93 mg calcium, 22 mg phosphorus, 0.2 mg iron, 50 µg ß-carotene, 10 µg total Vitamin A, 0.01 mg thiamin, 0.02 mg riboflavin, 0.3 mg niacin, and 16 mg ascorbic acid. Lipote is not cultivated as an orchard fruit but its trees if found growing by chance around homes, are protected and maintained for fruits. New plants of lipote can easily be raised from seed as well as grafting. The plants come into bearing in 4-5 years. 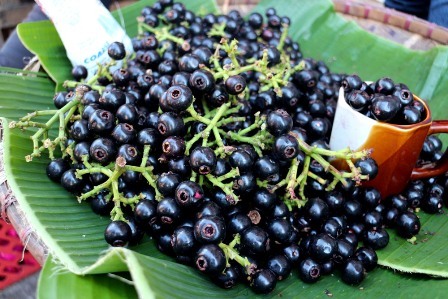 Lipote is a good fruit worth promotion. 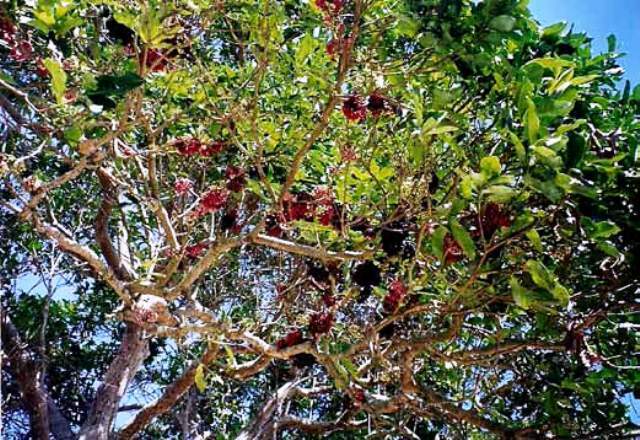 Unfortunately, like many other wild fruits, the natural population of lipote trees is also declining. This should be a matter of concern for state agencies and this plant should be included in different tree plantation projects to save it from extinction.